As more people are venturing into the back country and spending time in the wilderness it is becoming increasingly necessary to minimize the impact on the environment. Here you will find truly easy and convenient ways to lessen your footprint on the environment while adding the convenience and luxury of a bathroom to your camping or outdoor adventures. It's a Toilet. It's a Dressing Room. It's a Shower Tent. But best of all it's self contained and completely transportable. 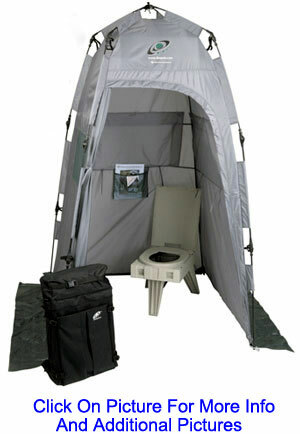 Whether you camp, hunt, fish or just enjoy the outdoors, the PETT Compact Dry Toilet System provides the optimum in privacy and convenience. Packaged as a complete unit, the PETT System gives you immediate access to a clean and sanitary bathroom, wherever you decide to set up camp. The PETT complete system includes the PUP privacy shelter (see on our Privacy Tent / Shower Enclosure page), the PETT toilet and 15 WAG BAG Toilet in a Bag waste kits. All items fit in the TOTE backpack which has an expandable pocket and contains an additional collection bag to transport used waste bags. The TOTE Backpack conveniently stores the PETT Toilet System and all accessories. Made of sturdy black fabric with heavy duty zippers and padded adjustable straps for easy transport. The TOTE backpack meets current airport carry-on size with dimensions of 25" x 15" x 6". There are separate storage areas for the PETT Toilet and the unused Wag Bags. Straps secure the PUP privacy shelter in the gusseted outer pocket, and an expandable compartment holds used kits. Simply unfold and lock the legs in place, install a Wag Bag and the Pett is ready for use. Made of durable injection molded plastic, the PETT toilet is the same height and bowl size of a standard toilet, yet folds to a mere 5" x 19" x 14". Weight limit tested by supporting the front end of a truck on 2 PETT toilets. The drip edge under the seat keeps the top of the waste collection bag clean for easy disposal. Each PETT toilet comes with a removable mesh net holder that supports the waste collection bag, a removable lid for stability on soft terrain when in use and to protect the seat when not in use. 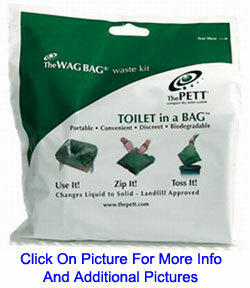 Included free, are 3 WAG BAG Toilet in a Bag waste kits. 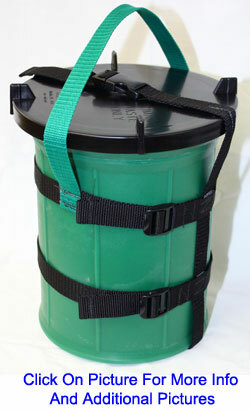 The WAG BAG Toilet in a Bag waste kit is a biodegradable double bag system made from puncture resistant materials. Each kit includes a zip close disposal transport bag, a waste collection bag preloaded with Poo Powder waste treatment, toilet paper and a hand sanitizer. 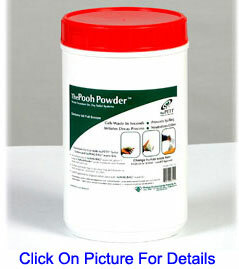 The Poo Powder waste treatment controls odors and contains a decay catalyst that breaks down solid waste. It turns liquid waste to solid for hygienic and spill proof transport. Wag Bags are landfill approved for disposal with normal trash. Designed to be used with The PETT toilet, Wag Bags will work in any dry marine, R.V. or household toilet (emptied of water), hollowed out log, bucket or by simply laying it on the ground. Everything stays in the bag. Completely hygienic. Plastic screw-top canister�containing �the same non-toxic powder used in each WAG BAG Toilet in a Bag waste kit.� Ideal for extending the use of��WAG BAGS. Each canister contains 120 scoops of Poo Powder waste treatment and weighs 4.2 lbs. Each Restop 2 Wilderness Waste Containment Kit contains a five-pack of Restop 2 Waste Kits, packaged in a mesh tote bag, providing you with an easy means to carry out your used bags. 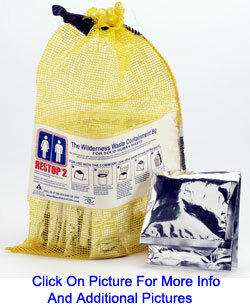 Restop 2 uses a patented "bag within a bag" design to safely contain and neutralize human waste. The outer bag is a Mylar, gas-impervious, zip-loc seal bag which contains the odor as well as the waste. The inner bag contains a polymer / enzyme blend powder, that biodegrades and gels the waste, giving it EPA approval for landfill disposal. Restop 2 provides an inexpensive and effective means to "pack it out" and comply with the outdoor ethics of Leave No Trace. Toilet paper and a moist antiseptic towelette are included with each kit. "leave no trace - but your footprints"
Made by GTS, the Eco-Safe 50 use RK Ammo Box Toilet System is washable, reusable and is designed to fit into a 20 mm ammobox or it can also be used as a stand alone toilet. It's cubical shape saves 20% of the space required by a round bucket type toilet system. The complete system includes a 5.5 gal. tank, full sized comfortable seat with lid, washout kit for flushing, pressure relief vent, and buttress threaded, gasketed closures. Tank size is 17.0" x 7.5" x 13.5" tall. All tank corners are well rounded for easy cleaning. 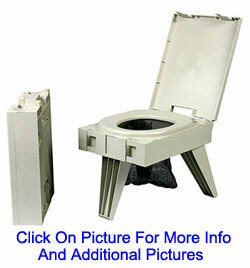 The foldable seat has been tested to 330lbs and is the same height as a standard toilet. All fasteners and accessories are made from rustproof materials. 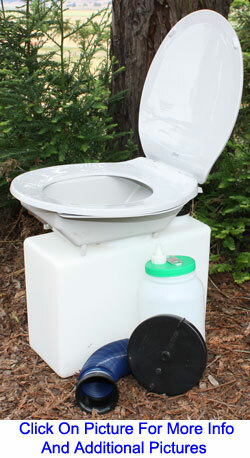 Meets BLM, NPS, and USFS requirements for washable and reusable toilet systems. It also works great with Restop 2 or Wag Bags to eliminate cleanout. 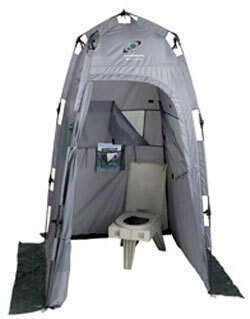 The ECO-Safe RK AMMOBOX Toilet System is a favorite of River Outfitters and was chosen for the Everest Environmental Expedition. *The accessory jar with the green lid is no longer included.